This November, voters will decide whether dual-immersion language programs deserve a new chance in the state’s schools. California is one of the most linguistically diverse states in the nation, and its schools echo its ethnic mix. Less than 60 percent of California’s residents speak English as their native language, according to 2007 census data, and some 43 percent of families in the state’s public-school system speak a language other than English in the home, with the second-most spoken language being Spanish. The result of this polyglot population is the vibrant cultural heterogeneity for which the state is famous—but it also means that English-language learners now make up about 22 percent of the public-school system. That works out to 1.4 million kids who need extra language help. This November, Californians will decide whether the state’s “English-only” system should stay or go. Advocates for this year’s ballot measure, Proposition 58, say the old rules are outdated, and are pushing the state to try out some of the many new approaches to bilingual education that have been developed over the past two decades. It’s no coincidence that the language debate is again on the ballot in another election year fueled by controversies around immigration. For progressive-education advocates, the struggles of English learners in California’s classroom have become inseparable from the politics surrounding their communities. Are they speaking Californians’ language? While education reform is always a fraught issue on both the political left and right, Proposition 227 was particularly polarizing. The political symbolism behind the system-wide policy of prioritizing “English only” instruction spoke to a certain nativist undercurrent threading through California’s electorate. The measure was passed in the wake of other right-wing referendum victories, including initiatives to abolish affirmative action in higher education, and to block undocumented children from public schools. After 227 passed with a 61-39 vote, statewide enrollment in bilingual programs plunged from about 41 percent of English learners to 8 percent. Nearly two decades since 227’s passage, as the number of English learners in the state has continued to rise, only about 312 of over 10,000 schools provide dual-immersion programs. The 1998 campaign was driven less by pedagogical theory than ideological messaging. Both English-only and bilingual-education proponents agree it’s important to help English learners master their new language—but Unz’s prescription for getting there was wrapped in his high-profile campaign of cultural conservatism. He wrote voluminously about the risk of “the End of White America” coming from immigration and liberal multiculturalism. The campaign for English-only education signaled to many immigrant rights groups a rising sentiment of hostility to their cultures. Ron Unz continues to be one of the loudest voices in the conversation today. He argues that Prop 58 is being pushed primarily by affluent parents who wish to boost lagging enrollment of Spanish-speaking children in dual-immersion programs. He says these linguistically integrated classes, which he calls “Spanish-almost-only,” primarily benefit the native English speakers, as English learners are essentially used as tutors for white kids. Moreover, the fact that test scores rose for Latino children (including English learners) in the several years after Prop 227 passed, Unz argues, should silence the critics of English-only education. A closer read of the data, however, tells a more complicated story about how California kids are, and aren’t, learning English. While math and reading scores did rise shortly after Proposition 227 passed, it has hardly brought the turnaround it promised for immigrant kids: Years since its enactment, English-language learners still face a massive achievement gap compared to those fluent in English. Moreover, the chief objective of English-only education, tracking students into regular English instruction, remains elusive: Statewide, less than 40 percent of children classified initially as English learners will be redesignated as “fluent” after 10 years. A long-term analysis by the UCLA Civil Rights Project found more mixed results. Comparing programs is difficult due to inconsistent implementation of English-only instructional modes across schools. (Other confounding factors include the impact of standardized-testing requirements under the No Child Left Behind law, as well as uneven funding and staffing levels). Dual-language programs that integrate English and Spanish instruction across classes and grade levels, by contrast, have shown promising results when there is balanced immersion between languages and adequate staff support. A 2015 meta-analysis of dual-language programs showed that, over time, students on average performed at least as well as, and often better than, peers in full English-immersion programs, along with the cognitive advantages of developing multiple, mutually reinforcing language abilities. But as with any K-12 program, the learning conditions are determined by resources, as well as administrative support and coordination in the school community. What Proposition 58 will actually do, then, is make it easier for parents to enroll their children in bilingual education. The proposition would get rid of the need for parents to get a special waiver to have their kids attend bilingual classes, and no longer tracks English-language learners into English-only classes by default. Advocates hope the measure will help expand “dual immersion” or “two-way” programs, which aim to achieve fluency and biliteracy in two languages, usually Spanish and English. In contrast to traditional “English as a second language” bilingual programs, more progressive bilingual programs, which the state emphasizes in its reformed curricular guidelines, have grown as a resource to build the language and cultural competency required for a globalizing society. Progressive education advocates see both cultural and academic benefits to a K-12 curriculum structured around progressive education in two languages in tandem, with a more attenuated, but intensive, pathway to mastering both. Cahuenga Elementary in Los Angeles has been cited as a model multilingual program. With a student population that is about half Latino, 40 percent Asian American, and mostly low-income, the school community banks on its natural linguistic resources with four program tracks, including Spanish-English transition, Korean-English dual immersion and English immersion. In the Korean track, children work with curricula that develop Korean and English skills in parallel, using a 50:50 instructional model. Programs are tailored according whether students’ primary home language is Korean or English. Some Spanish-English students even take on Korean as a third language. Outside class, the school environment features an emphatically multilingual array of music and art programming. A typical school day might include Korean and Mexican art activities, Korean fan dancing, or taekwondo training. Community-wide activities engage both immigrant parents and a multiethnic teaching faculty, which is about 70 percent bilingual or trilingual. Cahuenga’s test scores speak to how the community meets its academic challenges. According to a 2006 analysis by San Diego education authorities, academic performance scores of Latino students rose dramatically between 2000 and 2005, roughly halving the deficit between them and the school as a whole. Cahuenga’s third, fourth, and fifth graders currently achieve higher levels of math and English proficiency than the overall rate for Los Angeles schools. Advocates of a more culturally rich curriculum say that bilingual education’s past failures do not show a failure of the concept but of poorly constructed, under-resourced programs, not to mention the endemic socioeconomic gaps that hold back immigrant children in general. 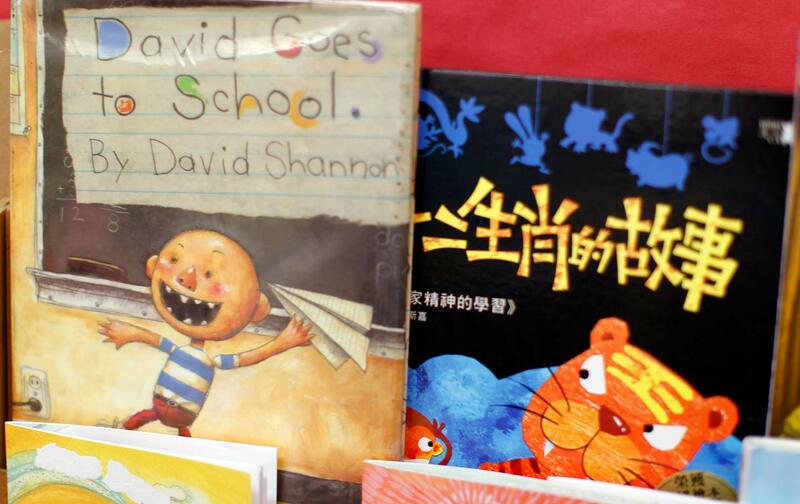 Compared to the conventional approach of aggressively drilling English into kids’ minds, bilingual education is harder to get right, perhaps, but more ambitious as a social project. Despite its idealistic vision, mainstreaming bilingual education is a test of California’s political will. Under a new reformed school-funding formula, Prop 58 could encourage schools to invest in new bilingual programs based on proven methods, and crucially, to expand the bilingual teacher workforce, which withered after Proposition 227. Education authorities are meanwhile promoting bilingualism as a formal credential by issuing a “seal of biliteracy” to students who pass a dual-language exam, a certification that 23 states have also adopted for their school systems. The era of English-only may soon end the same way it began: at the ballot box. But, with or without the referendum, it’s a demographic certainty that California’s schools will become more linguistically diverse, not less. Dual-immersion is a metaphor for an emerging political outlook that seeks a more global, empathetic learning community in schools. For families who think children deserve to learn as much from one another as from their textbooks, language is no longer just a subject but a movement.